"I love the name of the mill from which this coat heralds, Luigi Zanieri, but that’s not why we had it woven there. No, you see, Luigi Zanieri is in Prato, the heart of Italy’s historic wool industry, known for weaving some of the finest cloths around. And as the pea coat is one of my favourite pieces of outerwear, only the very best will do. Wear it with a suit, wear it at the weekend. Wear it whenever you want; it will always look fantastic." 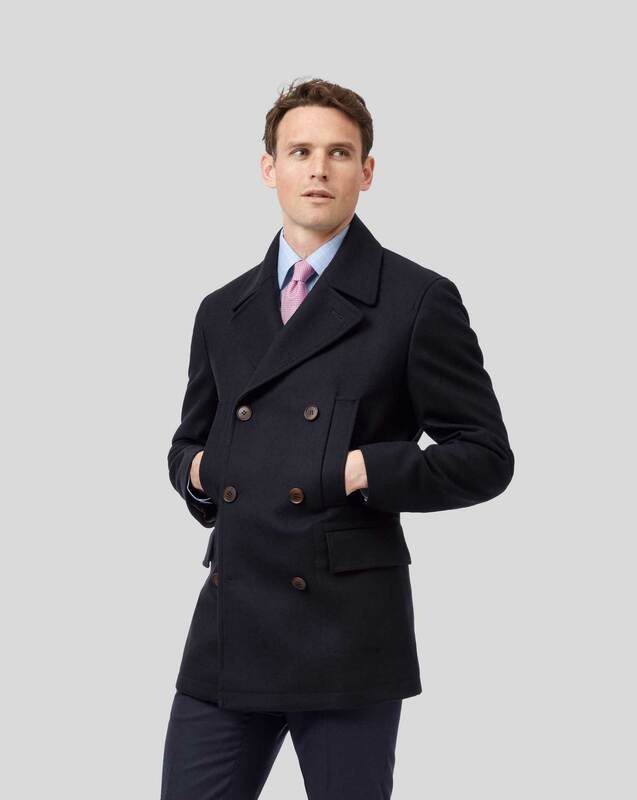 "Woven in Italy from a warm wool-cashmere blend, this modern pea coat is as versatile as it is luxurious."